Our 24 week, Basketball off-season skill development program is designed to transform a player’s game. 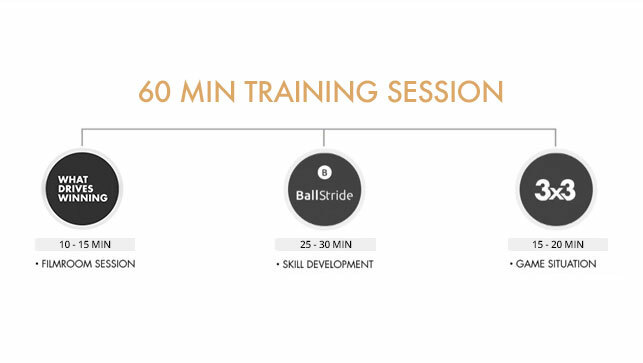 Unlike a standard camp, the structure allows proper time for the player to practice what they’ve learned between each session, resulting in long term growth. We pride ourselves on giving player’s all the necessary tools to change their game. With over 10 years of research, solely focused on human performance, we’ve architected a training session designed to engage. Covering all aspects of the game starting from the feet up. We group players by age, gender, skill, and number of years in the program. In addition, we keep the groups very small to ensure your child gets the individual attention they need. * If you were in the academy last year and have already purchased the above items, please let us know what items are not needed to receive a reduced Membership Fee.